Review: Great trail. Get lots of airtime. Almost no pedaling needed. Review: gnarly trail. lots of jumps. Review: This trail isn't super long, but is it really convenient and easy to get to. There are many jumps and even a nice drop. This trail is very fast and very fun. It is one of the best I have ridden. Review: This trail blew my mind when I heard about it. I had no idea that such fun and crazy trail was here in Payson. This is one of my new favorites. 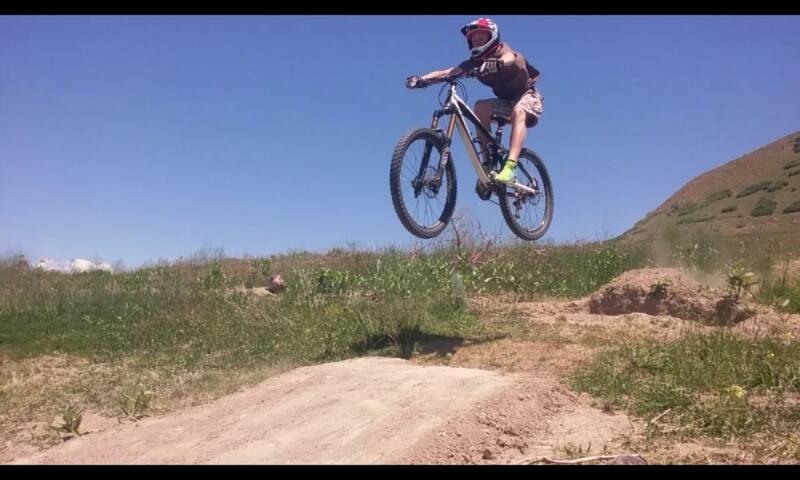 All the jumps are perfect, and the trail is fast. The DT-DH is amazing. Review: This trail is insanely fun, 100% best trail in Utah. I can't believe I didn't know about this trail until now. It has very well built jumps, drops, berms, everything. It is only a mile long, but it is worth going and riding it for sure. Review: This trail is crazy fun. There are berms and jumps and drops and is a gnarly ride from top to bottom. For sure one of my favorites I have ever ridden. Review: An easy 5 I would have gone a whole lot higher if there were more numbers it is seriously the funnest trail I've riden in Utah and Colorado this trail is the funnest I spent a whole day just doing certain sections of this trail and have spent a couple whole days just doing the trail over and over. It is not the DTC anymore but the DT-DH and it is the funnest trail ever! The DT-DH MTB Trail 5.00 out of 5 based on 15 ratings. 15 user reviews.